At Abiding Love Lutheran Church, we are committed to giving back to God for all God has given us so that we can help others locally and around the world. There are multiple options for giving. For more ideas on how to give, read our Creative Guide to Giving. Place checks or cash in an offering envelope and drop in the offering plate during worship. You can now make a contribution to Abiding Love Lutheran Church with a quick text message from your Smart Phone! Simply text [512-865-4947] with the amount you would like to contribute. Make sure to include the dollar sign before the amount. Example: $25. Within a few minutes, you’ll be sent a text with a link to register. Click on the link and enter your cardholder name and credit or debit card information. Once your registration is complete, you will receive a text verification and a receipt via email. For future giving, simply send a text with the amount you wish to give, and it will process automatically! Apple phone: Search for the ‘Give Plus Church’ app to find your church and set up your donation. 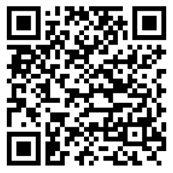 Android phone: Scan this QR Code and take to the Google Play store to find your Give+ App. Click here to go to our secure online donation portal.